Cé go bhfuil an comhad ag baint le Pádraig Ciosóg (Cisteoir Chraobh Learphoill de Chonradh na Gaeilge i 1916) ó Leabharlann Náisiúnta na hÉireann sa leabharliosta, níl nuachtáin mar Fáinne an Lae agus An Claidheamh Soluis, Beo! nó iris ar bith Ghaeilge ann. Níl The Gaelic Journal luaite ann fiú, cé go bhfuil sé le fáil i Leabharlann Learphoill. Tá béim mhór ar The Liverpool Catholic Herald, áfach. Mar gheall ar an easnamh seo, bhí mé amhrasach faoin “perspective on ethnicity” atá ag an údar, go mór mór nuair a deir sé sa réamhrá: “In the absence of any phenotypic or linguistic difference (the overwhelming majority of migrants being English speakers) ...". Ach leathanach ina dhiaidh sin, tá tagairt ó The Picturesque Handbook to Liverpool 1842 ar na hinimircigh a tháinig i dtír ag Clarence Dock, “holding converse in a jargon that it would be difficult to interpret.” (lch.12). Ba léir dom ón tús go raibh Belchem bodhar le glór na nGael. Spailpíní Chúige ChonnachtSa chéad chaibidil deir sé go raibh a lán Éireannach i Learpholl roimh an Ghorta. De réir dhaonáireamh 1841, bhí 49,639 duine a rugadh in Éirinn sa chathair, sin 17.3% den daonra. Ag caint faoi na spailpíní ó Chúige Chonnacht ag teacht i dtír i Learpholl, deir sé go raibh siad “distinctive in appearance, manner and deportment”. Tabhair faoi deara nach ndeir sé “and language”. Gan amhras, bhí Gaeilge ag tuathánaigh ó Chúige Chonnacht in 1841, ach dar le Belchem nach fiú trácht air sin; ní raibh aon “linguistic difference” i gceist. Gan fianaise ar bith, dearbhaíonn sé gur tháinig formhór na n-imirceach ó Chúige Laighean. Do thréimhse an Ghorta, baineann Belchem úsáid as staitisticí ón Ghiúistís áitiúil i Rushton a bhí luaite i leabhar le Frank Neal, Black ’47: “According to his figures, 296,331 persons landed at Liverpool from Ireland between 13 January and 13 December 1847, of whom 116,000 were ‘half naked and starving’.” De réir The Liverpool Journal, 21 Samhain 1846 (luaite ag Frank Neal), b’as Contae Mhaigh Eo agus Ros Comáin cuid mhaith acu, ach ní deir Belchem rud ar bith faoin teanga a bhí acu. Ach faigheann muid leideanna faoi chúlra na n-inimirceach sa chuid eile den leabhar, mar shampla, scéal ón Liverpool Catholic Herald (20 Feabhra 1909) faoi cheiliúradh caoga bliain pósta a bhí ag “Mr and Mrs Maxwell from Co. Mayo, fluent Irish speaking Famine migrants who had met and married in Liverpool.” (lch.190). Nuair a d’fhill an tAthair James Nugent go Learpholl in 1888, chuir na daoine meirge amach a raibh na focail “Céad mille failthe, saggarth aroon,” air – agus sin teachtaireacht do shagart de bhunadh Éireannach a rugadh agus a tógadh i Learpholl. Luann Belchem dochtúirí mar na deartháireacha Bligh as Gaillimh, a bhí líofa sa Ghaeilge agus a bhí ag obair sa gheiteo Éireannach i dtuaisceart Learphoill (lch. 11) agus “the regular flow of gaelic-speaking new priests from Ireland.” (lch. 210). Dúirt William O’Brien in alt dar teideal “The National Church and the National Language”, a scríobh sé san iris Fáinne an Lae in 1898, go raibh sé ag Aifreann go minic i nGaeltachtaí na hÉireann ach nár chuala sé riamh seanmóir i nGaeilge ach amháin i dteach pobail i Learpholl. (Luaite i The Story of the Conradh na Gaeilge, le Pádraig Ó Fearaíl). Ba léir go raibh brú millteanach ar an Ghaeilge faoin am sin – sin an fáth ar bunaíodh Conradh na Gaeilge i mBaile Átha Cliath i mí Iúil 1893. Trí mhí ina dhiaidh sin, phós an ceannaire, Dubhglas de hÍde, bean darbh ainm Lucy Comentina Kurtz i Learpholl. Níl an bhainis seo luaite i leabhar Belchem, cé go bhfuair sí a lán poiblíochta nuair a nocht Craobh Learphoill de Chonradh na Gaeilge leacht cuimhneachán i Meán Fómhair 1993 san eaglais inar phós siad. Go deimhin, ní mhíníonn sé cúlra na heagraíochta i Learpholl (Beo!, eagrán 15, Iúil 2002). Ina thuairim féin, ba é an rud a bhí ann ná “elements of a harsh new ethno-cultural sociology, denying a place for second generation migrants brought up in the lowest depths of Irish Liverpool”. (lch. 209). Ach bhí an chuid is mó de na craobhacha lonnaithe i gceantair Éireannacha i Learpholl agus bhí Éireannaigh ón dara glúin gníomhach iontu. 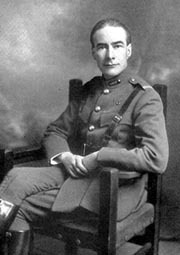 Lena chois sin, bhí clú agus cáil ar chuid acu as an tsárobair a rinne siad ar son na cúise in Éirinn, daoine mar Phiaras Béaslaí (1881-1965), Cesca Trench (1895-1918), Norma Borthwick (1862-1934) agus Séamas Ó Glasáin, a ghlac páirt san Éirí Amach i 1916 agus a bhí ina Thimire Gaeilge sna 1920í agus ina Ardmháistir ar an Cheardscoil i mBré níos déanaí. Agus na deartháireacha King a ghlac páirt san Éirí Amach fosta. Nil trácht ar oiread agus duine acu sa leabhar seo. Sin dearcadh sprionlaithe ó Belchem; scríobh Ó Labhradha (Folt Fada) níos mó ná sin. Mar shampla, tá cóip agam féin den dráma trí ghníomh An tSnaidhm, a d’fhoilsigh Conradh na Gaeilge i mBaile Átha Cliath sa bhliain 1910. Bhí Béaslaí ina uachtarán ar Choiste Ceantair Learphoill nuair a thug siad cuireadh do Phádraig Mac Piarais, eagarthóir An Claidheamh Soluis, *teacht go Learpholl le léacht a thabhairt sa leabharlann (Beo!, eagrán 15). Níl an ócáid seo, i 1904, luaite sa leabhar, cé go raibh a lán cainte fúithi nuair a thug an tOllamh Pádraig Ó Siadhail léacht chuimhneacháin faoi Bhéaslaí sa leabharlann chéanna in 2004 (Beo! *, eagrán 42). Bhí Béaslaí ina leascheannasaí ar Chéad Chathlán na nÓglach i mBaile Átha Cliath in Éirí Amach na Cásca, ach deir Belchem: “Having played a relatively minor participatory role in the Easter Rising, the Liverpool-Irish revolutionary underground came to the fore in the Irish Wars ...”Chuirfeadh sin fearg ar dhaoine mar Bhéaslaí; Rose Anne Murphy agus Peggy agus Francis Downey ó Chumann na mBan, Learpholl; agus George, Patrick agus John King a bhí in Ardoifig an Phoist le Pádraig Mac Piarais. 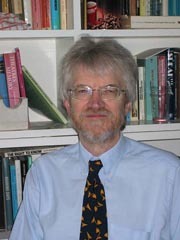 Bhí na deartháireacha seo i bhFrongoch le Micheál Ó Coileáin, áit ar nocht Craobh Learphoill leacht cuimhneacháin in 2002 (Beo!, 14, 36 agus 47). Cé go bhfuil siad i leabhair mar Frongoch, University of Revolution, le Seán O’Mahony, agus Who’s Who in the Irish War of Independence and Civil War 1916-1923, le Padraic O’Farrell, níl trácht ar bith orthu sa leabhar seo. Sin an fhadhb is mó atá ag baint leis an leabhar: cé go bhfuil a lán eolas suimiúil ann, tá neart in easnamh. An chaibidil dheireanach, cuir i gcás: insíonn sé faoin chiníochas in aghaidh na nÉireannach sa tréimhse 1918-1939, ach níl trácht ar bith ar na hÉireannaigh ag troid ar ais in aghaidh an fhaisisteachais i Learpholl agus sa Spáinn (Beo!, eagrán 63, Iúil 2006). Is é an pictiúr ar chlúdach an leabhair ná Irish Emigrants Entering Liverpool le David Jacques (Walker Art Gallery, Learpholl). Tá pictiúr eile dá chuid dar teideal an claidheamh soluis sa Newz Brasserie, Learpholl (Beo!, eagrán 15, Iúil 2002). Ar ndóigh, níl spás ar bith do phictiúr a bhfuil teideal “Gaelic” air i leabhar seo Belchem! Fuair An Béaslaíoch: Beatha agus Saothar Phiarais Bhéaslaoi le Pádraig Ó Siadhail an chéad duais sa Chomórtas “Léirmheastóireacht ar Fhilíocht/Saothar Próis” ag an Oireachtas i gCathair na Mart i mbliana agus beidh seoladh an leabhair seo ar siúl Learpholl in 2008, nuair a bheas Learpholl mar Chathair Chultúrtha na hEorpa. 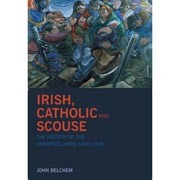 Irish, Catholic and Scouse: The History of the Liverpool-Irish, 1800-1939, le John Belchem, Liverpool University Press (www.liverpool-unipress.co.uk), 2007Is de bhunadh Éireannach é Tony Birtill agus rugadh i Learpholl é. Bíonn sé ag obair le hOideas Gael i nGleann Cholm Cille gach samhradh.